We had a nice Christmas and I appreciate all the well wishes. My son and best friend came over and we had more food for lunch than anyone should be allowed to eat. Afterward, we all felt like taking a nap. Meanwhile, our cats beat us to it. How was your Christmas? Was there any napping going on? This entry was posted in Uncategorized and tagged Cats, Christmas, cute, food, Holiday, nap on December 26, 2018 by Charles Huss. I thought I would do a bit of self-promoting today and mention that I added two calendars to my Zazzle store. 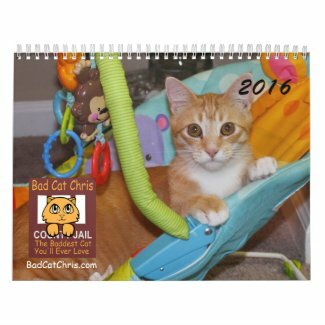 The first is a Bad Cat Chris calendar featuring, you guessed it, Chris. The second features funny photos and text from my other blog, Just Fur Laughs. Then there is one that features both cats and kittens. 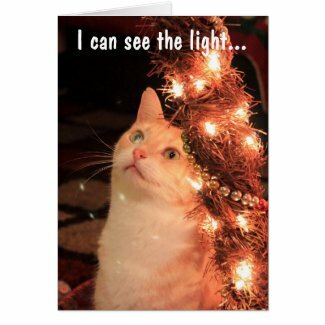 Finally I have a new Christmas card featuring Frankie. What do you think of them? If you are interested in these or anything on Zazzle they have a special this weekend if you use code CRAZYWEEKEND. That gives you various discounts including 30% off calendars and 50% off cards. This entry was posted in Uncategorized and tagged calendar, card, Christmas, Holiday, Zazzle on November 28, 2015 by Charles Huss. 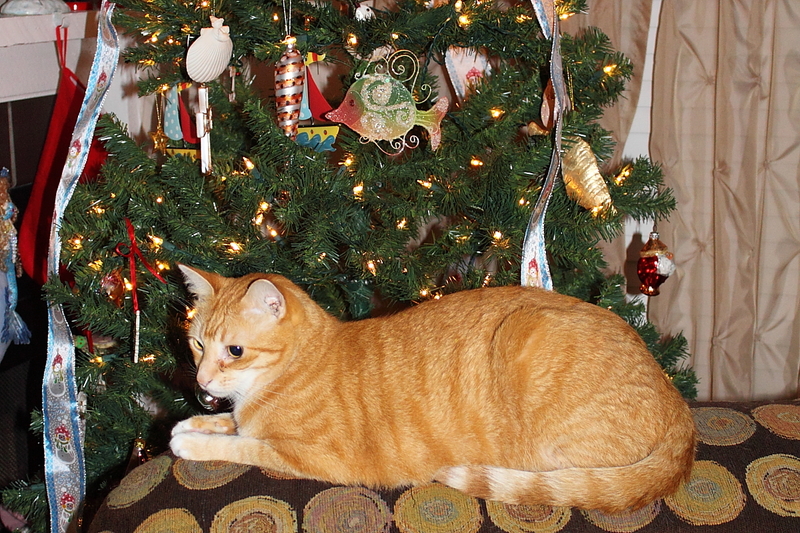 This entry was posted in Uncategorized and tagged Cats, funny, Holiday, Merry Christmas, poem on December 24, 2014 by Charles Huss. 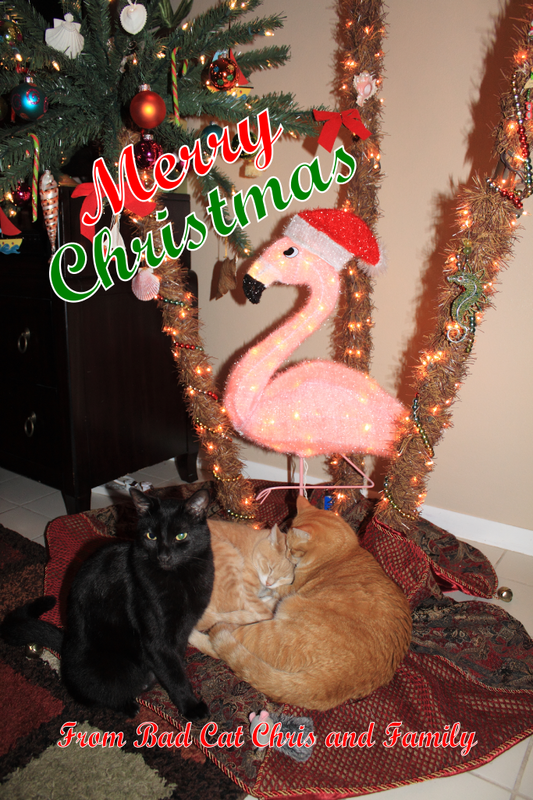 Chris, Puck, Rose and I want to wish you and your family (furry or not) a very Merry Christmas. Hope you get everything you wanted this year. 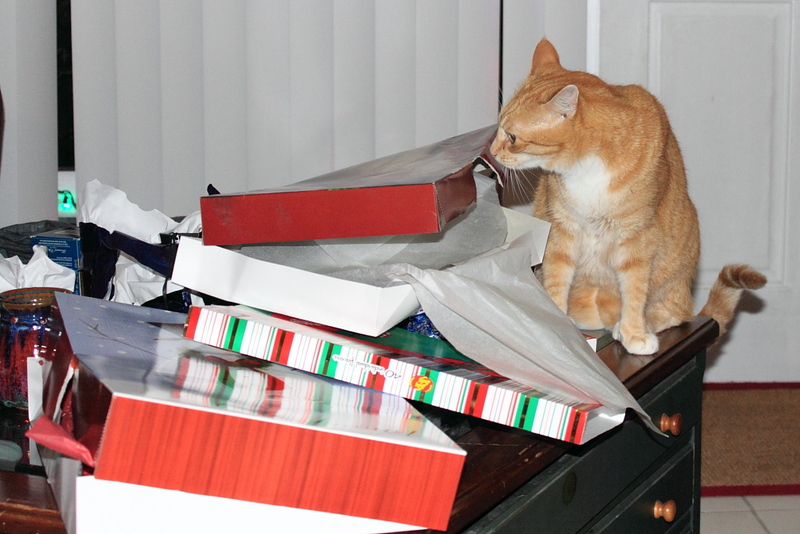 This entry was posted in Uncategorized and tagged Cats, Holiday, Merry Christmas, presents on December 25, 2013 by Charles Huss. Chris and his family want to wish everyone a Very Merry Christmas and a safe and happy holiday season. This entry was posted in Uncategorized and tagged Bad Cat Chris, Christmas, Christmas - Holiday Season, Holiday, Merry Christmas on December 24, 2012 by Charles Huss.